With the announcement of the Arizona Supreme Court’s decision on the Hall case, which involves the Elected Officials Retirement Plan, EORP, there has been miscommunication and misunderstanding that the Parker case, which actually involves the Public Safety Retirement System, PSPRS,has been decided upon by the courts. As was anticipated, the courts upheld the lower court’s decision in favor of both fund plaintiffs, EORP and PSPRS. The third decision, still being contemplated by the courts, which is likely to be decided within the next year, specifically addresses the idea of vesting. Please read the attached text, which was put out to PSPRS members this morning, to determine eligibility for refunds that will be made by the fund in accordance with the decision. 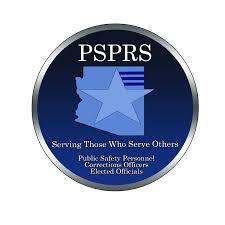 CLICK HERE to read the email sent out by PSPRS.